Waldgasthof Buchenhain is a family beer garden in Buchenhain village, 15km south of central Munich. 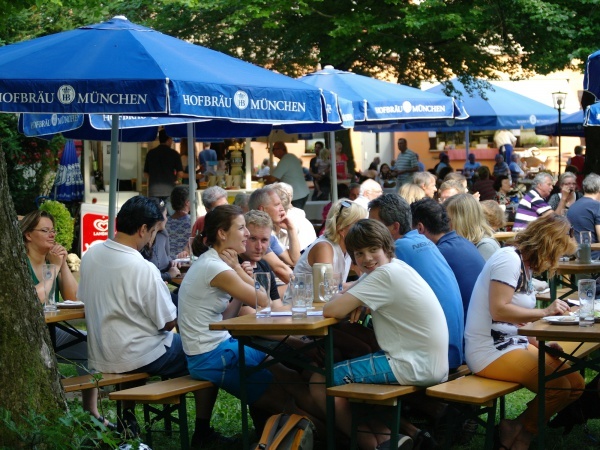 The beer garden is part of a small Bavarian hotel and is located within walking distance of the Isar River. There are about 450 seats in the self-serviced area with beer garden benches and 150 seats in a serviced area with regular tables and chairs shaded by chestnut trees. The self-serviced area is situated on a large grass field mostly shaded by sun-umbrellas. On weekends a mobile catering stall provides beer from the tap along with a small selection of snacks, such as pretzels, coffee and cake. A more complete selection of meals is available to fetch from the restaurant. 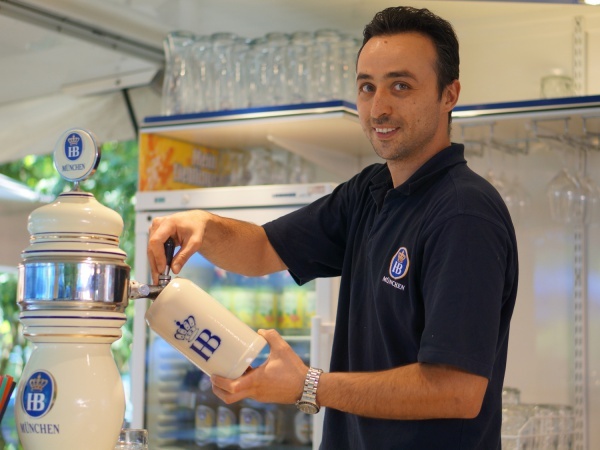 The beer sold is Hofbräu and a Maß Hell (lager) costs €7.50 (July 2017). The beer garden is open during the summer months while the weather is good on weekdays from 10am until 9pm or 10pm. On weekends the beer garden usually closes around 10pm or latest 11pm.